Australia’s own five-headed creature from the swamp is back with a short and slimy album of Sludge and Southern Metal that celebrates the riff-driven sound they’ve become known for. 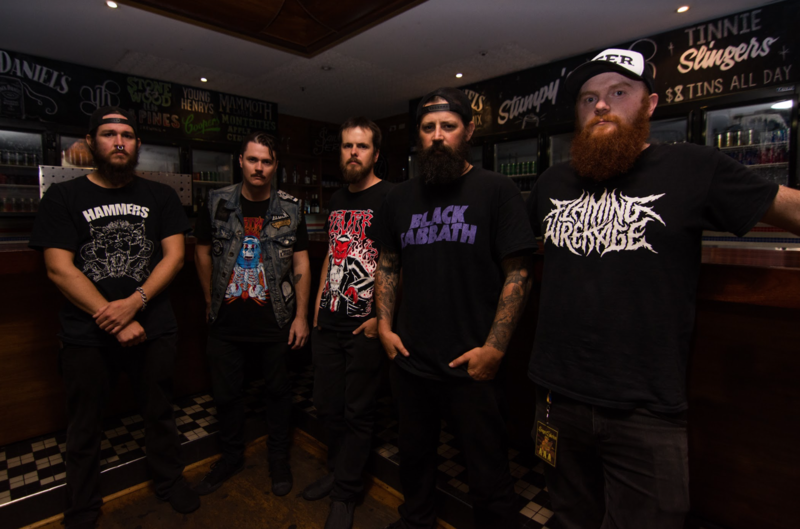 For the love of the riff, Australian Southern/Groove Metal group The Black Swamp was formed as a live act in 2012 in the Gold Coast, in South East Queensland, soon evolving to a full-bodied band and releasing their debut EP Foulness in 2014, followed by the full-length I Am, in 2016, not to mention a handful of unofficial releases on their way to support slots with Hellyeah, Black Label Society and Sebastian Bach, as well as their own national tours. Always playing a sludge sound reminiscent of the 70’s and 90’s, “the swamp” is back in 2018 with a short and slimy EP titled Witches, a celebration of the riff-driven sound they’ve become known for, also marking their first release with new frontman Luke Hosking (from Australian Groove/Thrash Metal band Azreal). Hence, the quintet comprised of Luke on vocals, Grant Scott and Jesse Kenny on the guitars, Rohan Downs on bass and Brendan Woodley on drums again focuses their energy and creativity on raw sounds, highly inspired by Heavy Metal pioneers Black Sabbath and Doom/Sludge Metal masters Crowbar. And “the swamp” needs only a few seconds to blow our ears with their ruthless and heavy-as-hell Stoner Metal in the opening track Headless, with Luke delivering sheer rage through his Phil Anselmo-inspired deep, crude vocals, while Grant and Jesse are simply bestial with their crushing riffs. If that’s not heavy enough for you, just keep banging your head nonstop to another soulful and aggressive Sludge Metal creation by The Black Swamp, named Event Horizon, where the bass lines by Rohan feel like if he was rubbing metal to metal so piercing and thunderous they sound. Put differently, this is a drinking-smoking-slamming-headbanging tune, bringing a classic rhtythm tailored for lovers of the genre. Then we have 1487 C.E., a short and serene bridge that sets the stage for to the demolishing title-track Witches, showcasing the heaviest and most whimsical elements found in Sludge, Stoner and Doom Metal, with Brendan pounding his drums mercilessly while Luke continues his musical rant à la Pantera, not to mention the always crisp and furious riffage by the band’s guitar duo. 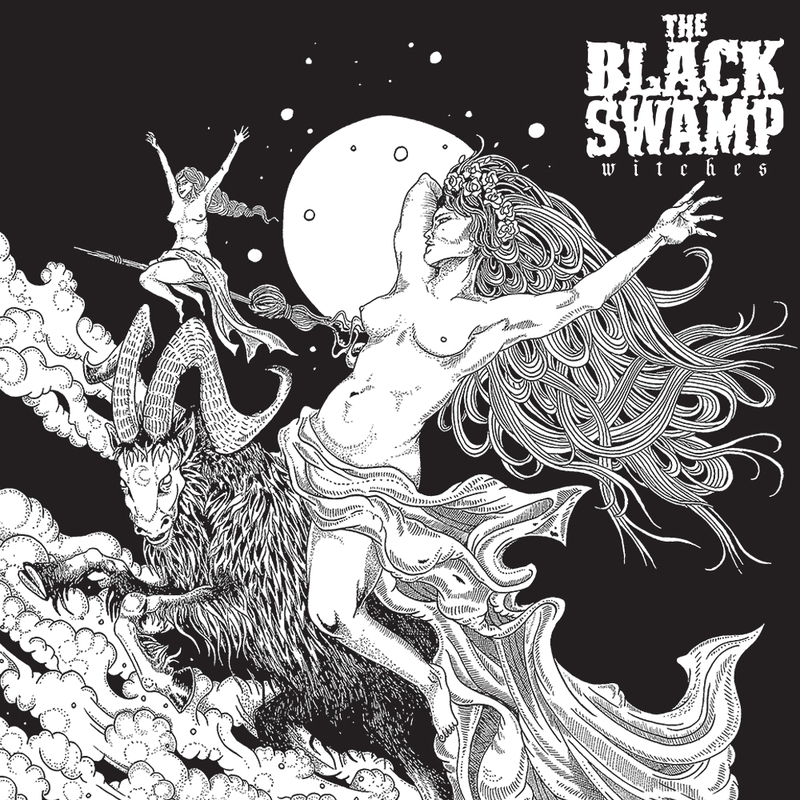 In a nutshell, it’s quite impressive the amount of heaviness and rage found in each one of the four tracks of the EP in a littles less than 17 minutes, proving The Black Swamp are not joking around when displaying their admiration and passion for Sludge and Doom Metal. If you want to show your support for this resonant quintet, go check what they’re up to on Facebook and buy your copy of Witches (which by the way is available for a full listen on YouTube) directly from The Black Swamp’s BandCamp page, as well as from iTunes or from CD Baby. After this brief “attack” by Australia’s own five-headed creature from the swamp, I’m sure you’ll get curious to know what comes next in their career, getting more and more addicted to their sluggish, vile and totally awesome music. Best moments of the album: Headless and Witches. This entry was posted in 2018 New Releases and tagged 1487 c.e., australia, brendan woodley, doom metal, event horizon, gold coast, grant scott, groove metal, headless, jesse kenny, luke hosking, rohan downs, sludge metal, south east queensland, southern metal, stoner metal, the black swamp, witches, witches ep by Gustavo Scuderi. Bookmark the permalink.